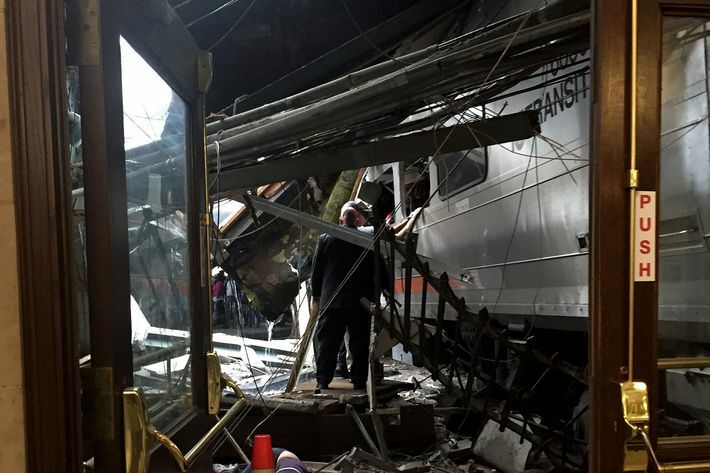 A New Jersey Transit commuter train crashed into a station in Hoboken during the busy Thursday morning rush hour, killing at least one person. A total of 108 people were hurt, some very seriously, when the train smashed into the terminal. Earlier reports put the death toll at three; those two people were very critically wounded and were mistaken as fatalities in the confused early moments after the disaster. The one fatality has been identified as 34-year-old Fabiola Bittar de Kroon, a Hoboken resident and mother. 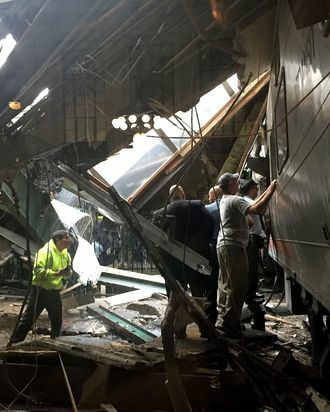 She was reportedly killed on the platform by debris that was ripped from the ceiling when the train crashed. The train operator survived, but was seriously hurt. He is reportedly cooperating with investigators. Riders and bystanders said the crash sounded like an explosion. Passengers in the first car got the brunt of the impact. The front of the train was reportedly packed, sending those who were standing tumbling. Those waiting on the platform sprinted and scrambled to get out of the way of the train. Witnesses described people dripping with blood and some being carted off in stretchers. “I saw a woman pinned under concrete,” Bhagyesh Shah, a rider, told NBC 4. “A lot of people were bleeding; one guy was crying.” Others described some minor injuries, posting pictures of the chaotic, messy scene on social media. The station appears to have suffered significant structural damage. 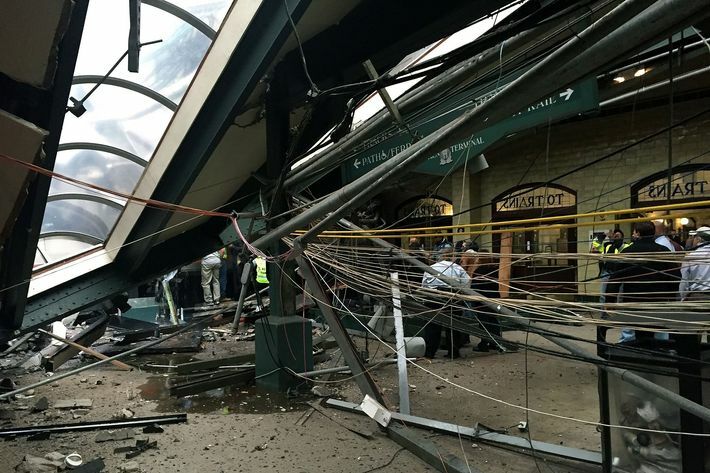 Part of the ceiling collapsed and debris was strewn across the platform: twisted metal, broken glass, and concrete. #Hoboken Terminal right now. This explains all those sirens. #njtransit Hope everyone is okay! First responders swarmed the scene right after the crash. A temporary triage center had been set up outside the station. 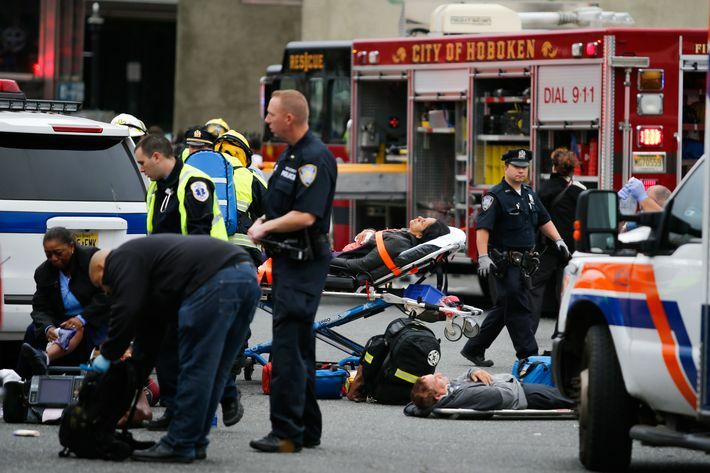 As of about noon, Jersey City Medical Center, a trauma hospital, planned to treat 50 people, including 10 with serious injuries. 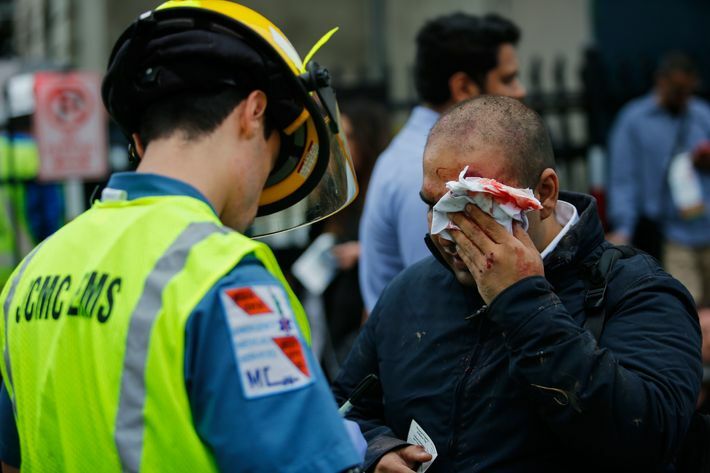 At least 22 people were sent, or checked in, to Hoboken University Medical Center, which is just a few blocks from the crash site so many “walking wounded” went there for treatment. Christ Hospital in Jersey City received at least one person. The injuries range from minor bumps and bruises to broken bones and more traumatic wounds, which include internal injuries. All train service is suspended in and out of Hoboken, including the PATH trains to and from Manhattan. 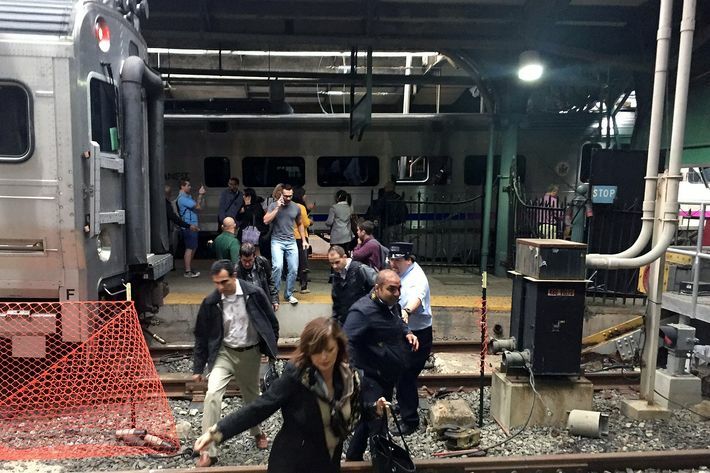 Officials said Hoboken PATH service will be restored for the evening rush. Christie and New York governor Andrew Cuomo talked to reporters Thursday afternoon, but both stressed that while the train came into the station at “a high rate of speed,” they really have no information as to the cause of the crash. Investigators from the NTSB and the Federal Railroad Administration are arriving to the scene. Officials said it’s extremely early in the investigation, but preliminary findings suggest that the derailment was an accident, possibly a mechanical failure or operator error. Authorities, right now, do not have evidence of an international act.